The Humane Society of the United States (HSUS) is the number one provider of direct animal care and in the forefront of efforts to save animals from peril. We maintain a team of certified responders to help with large-scale rescue or emergency animal care operations, ready to be deployed at the first call for help. 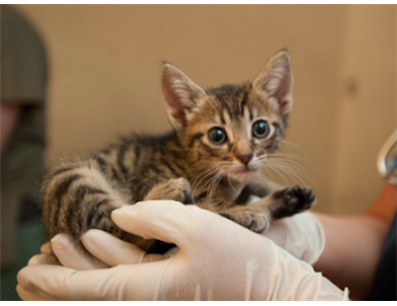 We have helped thousands of animals after events like Hurricane Sandy, and wildfires in the Rocky Mtn. West. The scale, complexity, and urgency of large-scale animal rescue cases often demand more resources than law enforcement or animal control agencies can provide. When natural disasters strike, local agencies may need help to evacuate animals ahead of time, search for and rescue them afterward, or provide them with temporary shelter while families make new living arrangements. And although natural disasters don’t happen every day, animal cruelty does. It takes different forms, such as puppy mills where dogs are made to live in deprivation and squalor, fighting rings that force animals to battle to the death for human entertainment, and cases of unspeakable neglect where animals are denied the most basic humane care. Removing animals from dangerous situations is only the first step. Rescued animals often need extended veterinary treatment or rehabilitation—or may need to be held indefinitely as evidence in a criminal case—before they become available for adoption. Local authorities may not have the manpower, the facilities, or the budget to care for large numbers of animals for months at a time. That’s how The HSUS, with your generous support, can help. The Humane Society of the United States is the nation's largest and most effective animal protection organization. We help animals by advocating for better laws to protect animals; conducting campaigns to reform industries; providing animal rescue and emergency response; investigating cases of animal cruelty; and caring for animals through our sanctuaries and wildlife rehabilitation centers, emergency shelters and clinics. Since 1954, The HSUS has been fighting for the protection of all animals through advocacy, education, and hands-on programs. We rescue and care for tens of thousands of animals each year, but our primary mission is to prevent cruelty before it occurs. We're there for all animals, across America and around the world. The HSUS seeks a humane and sustainable world for all animals—a world that will also benefit people. We are America's mainstream force against cruelty, exploitation and neglect, as well as the most trusted voice extolling the human-animal bond. The HSUS was founded in 1954 to complement the work of local organizations by tackling the root causes of cruelty and suffering. 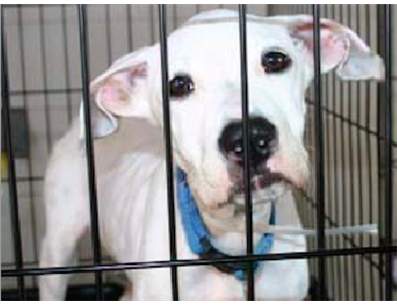 We are dedicated to the principles of rescue, reform, and results to bring about a truly humane society. The HSUS and its affiliates are the nation’s number-one provider of animal care, through the work of our animal sanctuaries and rehabilitation centers, Animal Rescue Team, wildlife response units, veterinary division, international street dog defenders, and other hands-on programs. And while rescue and other direct-care programs are vital to helping animals in crisis, we cannot rescue our way out of so many problems for animals. We must prevent cruelty to millions caught up in factory farms, animal-testing labs, puppy mills, animal fighting rings, the wildlife trade, and so many other settings. That’s why The HSUS, through its advocacy programs, drives transformational change—bringing a wide set of tools to take on the biggest fights, confronting multi-billion dollar industries, and staying the course until reform is realized. The HSUS is rated a 4-star charity (the highest possible) by Charity Navigator, approved by the Better Business Bureau for all 20 standards for charity accountability, voted by Guidestar’s Philanthropedia experts as the #1 high-impact animal protection group, and named by Worth Magazine as one of the 10 most fiscally responsible charities. In 1985, only four states had felony penalties for malicious cruelty, 15 states had felony dogfighting penalties, and seven states had felony cockfighting laws, with cockfighting still legal in six states. In recent years, The HSUS made a decision to reshape the legal landscape on animal cruelty and fighting to show a zero-tolerance policy for this conduct in our country. As a result of this focused effort, malicious cruelty is now a felony in 49 states, dogfighting is a felony in all 50, and cockfighting was outlawed in the six remaining states—and is punished as a felony in 40. We have shepherded legislation through the U.S. Congress to make animal fighting a federal felony and to ban the possession and training of fighting animals and the commerce in cockfighting weapons. We have assisted law enforcement in hundreds of cruelty and hoarding cases and dogfighting and cockfighting raids, rescued tens of thousands of animals, and trained thousands of law enforcement officials in investigation and prosecution of animal cruelty and fighting as a crime. We operate a tipline and offer rewards for people who bring animal abusers and fighters to justice. The HSUS is driving the campaign to end the confinement of pigs in crates so small the animals can’t turn around. We’ve helped pass nine state laws banning gestation crates, and we’ve moved more than 60 of the world’s largest food companies—McDonald’s, Costco, Oscar Mayer and dozens more—to announce plans to eliminate these crates from their supply chains. After our 2006 ballot initiative in Arizona to ban veal crates, the industry saw the writing on the wall. It agreed to phase out confinement crates for calves by 2017. Today, approximately three-fourths of the industry has already converted to group housing, and we intend to hold the remaining operations accountable as the 2017 deadline approaches. The HSUS has helped pass laws to ban veal crates in other states, including California, Colorado, Maine, Michigan, Ohio, and Rhode Island. We’ve worked to ban or restrict captive hunts of mammals trapped in fenced pens in about half the states. We’ve led successful ballot initiatives, bills, and regulatory work to outlaw steel-jawed leghold traps and other cruel devices in about a dozen states, including Hawaii in 2013. We’ve outlawed bear baiting and the use of packs of dogs in bear and cougar hunting in a half dozen states, and spring hunting of bears in Colorado and Oregon. We blocked the opening of mourning dove hunting in Michigan. We’re working to make poaching and other forms of cruelty to wildlife a felony in every state—just as we’ve done with general cruelty to animals. An HSUS undercover investigation exposed a massive trophy hunting tax scam, in which wealthy trophy hunters were bilking American tax payers for the cost of their hunting trips overseas by donating their trophies to fake museums—and we drove legislation in Congress in 2006 to shut down this loophole and put the tax back in taxidermy. Spared 110 Chimps from Use as Research Subjects— The HSUS contributed $500,000 to construct sanctuary space for 110 federally-owned chimpanzees being transferred from at the NIH’s New Iberia Research Center to Chimp Haven, the federal chimpanzee sanctuary in Keithville, La. In August The HSUS Animal Rescue Team participated in a multi-state dogfighting raid, with the U.S. Attorney’s Office, FBI, and state and local police, in Alabama, Mississippi, and Georgia. We and our coalition partners rescued 367 dogs and are caring for them at emergency shelters. We also rescued more than 90 cats and dogs, many in urgent need of veterinary attention, from an Arkansas property after authorities discovered them living in filth and suffering from a lack of basic care. In March, we helped with the rescue of more than 100 dogs, cats, goats, horses, and other animals from a hoarding situation in Belmont County, Ohio. In February, we worked with local law enforcement to rescue more than 60 dogs from a North Carolina puppy mill. • A group has more people to make calls, write letters, hand out flyers, and get the word out on important issues. • Trying to solve problems by yourself can be difficult and frustrating. When you're part of a club, you get support, ideas, and encouragement from other club members. • A group of people speaking with one voice often has more influence than a single person. People sit up and take notice when many people come together to support an important cause. Lawmakers, school officials, and other leaders and decision-makers are more likely to listen to the collective voice of a group. • A club taps the wide range of skills and talents of its members. If you love art, you could design animal cause posters. If a member has a way with words, he or she could write public service announcements or letters to newspaper editors. Other club members might be good speakers, researchers, or organizers. Your projects will be successful because of the efforts, experiences, and creativity of all your club's members. You can help animals while learning not only valuable life lessons but also lessons that can benefit your community—through volunteer work with a local animal shelter or sanctuary—as well as your school work. Our projects are geared at campaigns and programs in which The HSUS is actively making strides, and are designed to be done through home and school. You may even be able to get school credit for your projects for animals. Check with your teacher or guidance counselor. National – We provide care for animals in need: rehabilitating wildlife trade victims, preserving habitat, helping shelters and under-served communities care for pets, and intervening in human-animal conflicts. Through our rescue efforts, disaster response, mobile veterinary clinics, global street dog program, and five animal care centers, we directly care for thousands of animals—pets and wildlife—each year.